Electrolux replacement vacuum cleaner bags are paper bags made for Electrolux and subsidiary vacuum cleaner brands from 1952 to current. Genuine Electrolux canister vacuum bags are 4 times more effective than generic bags because they contain an anti-microbial agent to inhibit the growth of germs, bacteria, mold and mildew inside the bag. The generic bags do not have this liner, however they are affordable, fit perfectly, and work just as well as the genuine bags. If you have allergies or are concerned with your vacuum warranty you should purchase genuine Electrolux replacement bags for your model. 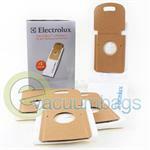 Electrolux bags are available in many styles and the bag your Electrolux vacuum cleaner uses depends on the model. 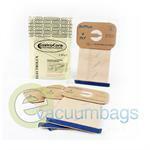 Electrolux Trivac vacuum cleaner bags fit the older Electrolux stick vacs. Electrolux Style B bags fit Aerus Electrolux lightweight upright models including the Freshera and Lux Lit. The generic bag is slightly shorter than the original bag. Style C bags fit all Electrolux metal canisters from 1952-1994. Specifically, the following models use a style C bag: Ambassador, Ambassador Plus, Ambassador III, Diamond Jubilee, Epic 6000, Epic 6500, Epic 6500SR, Golden J, Grand Marquise, Hi-Tech 2100, L-E, Legacy, Lux 2000, Lux 5500, Lux 7000, Marquis, Model 90, Olympia One, Silverado, Super J, AE, AF, E, G, L, LX, R, S, and 1205. Electrolux Style R vacuum cleaner bags are made to work with the following models: C134A, C134B, C134C, C134D, C134E, C134F, C154A, C154B, C154E, C104A, C104H, Epic 8000, Guardian, Lux 9000, and Renaissance. 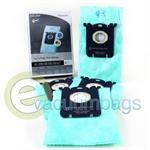 Style S Electrolux bags are available in many variations. 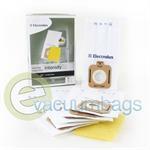 The classic Electrolux Style S bag is the original, standard paper bag. The Electrolux Clinic Style S bag is the anti-allergen bag that offers high levels of filtration and is an ideal choice for allergy or asthma sufferers. An anti-odor bag is also optional and the best choice for pets with homes. The anti-odor bag will eliminate pet odors escaping the exhaust of the vacuum cleaner. 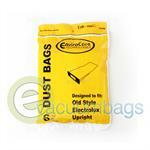 The generic bag is similar to the classic Electrolux S bag but has a slightly different paper quality. The Electrolux Style S bags will fit the following Electrolux vacuum cleaner models: Ergospace, Harmony, Maximus, Oxygen, Oxygen Ultra, Oxygen 3, Ultra One, Ultra Silencer, and Ultra Silencer Green. Style U Electrolux bags are compatible with these Electrolux upright vacuum cleaner models: Commercial uprights, Discover II, Discovery III, Epic 3500 Genisis, Genisis LX, Genisis LXE, Lux 3000, Lux 4000, Lux 6000 and Prolux. Style UR Electrolux vacuum cleaner bags fit the old Heavy Duty Electrolux upright vacuum cleaner manufactured in the late 70s and early 80s. Additionally, several vacuums take their own, unique bag. These include the Aptitude upright which uses the EL204B vacuum bags while the Electrolux Oxygen models use EL5010A, EL5010A-1 and EL5010AZ. The Oxygen 3 upright vacuum cleaner can take the EL5035AZ, SP5035A and EL5035A. The Electrolux professional series vacuum cleaners also use unique bag styles. The Duralite upright vacuum cleaners now take the Style SD vacuum cleaner bags along with the S9020A, 9020. S9020, and 9025 models. 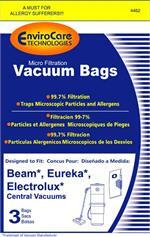 Allergen Vacuum Bags for Electrolux and Nutone 8 Gallon Central Vacuum Cleaners. 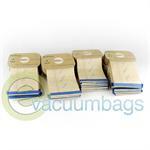 Paper Vacuum Bags for Electrolux 5035 Oxygen 3 Upright Vacuum Model EL5035A and EL5035AZ. 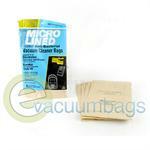 Generic EnviroCare Micro Filtration Paper Vacuum Bags for Electrolux Aptitude & Oxygen Upright Vacuum Cleaners. 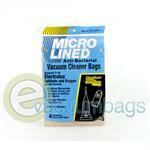 Generic DVC Micro-Lined Vacuum Cleaner Bag for Electrolux Aptitude and Oxygen Vacuum Cleaners. 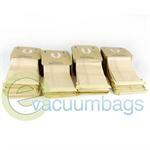 Genuine Nutone Paper Vacuum bags for Electrolux Central Vacuums. 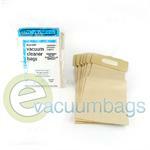 6 Gallon Replacement Paper Vacuum Bags for Electrolux, Eureka, Beam, and Honeywell Vacuum Cleaners. 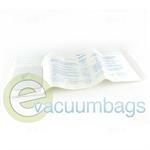 Intensity Paper Vacuum Bags and Motor Filter for Electrolux EL5020 Series Vacuum Cleaners. 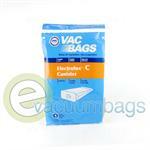 Synthetic Vacuum Bag for Electrolux EL5035 Model Vacuum Cleaners. 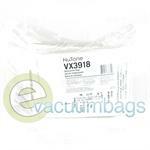 Generic Micro-Lined DVC Paper Vacuum Bags for Electrolux Harmony and Oxygen Canister Vacuum Cleaners. Generic Vacuum Bag and Filter for Electrolux Intensity EL5020 and EL5020A Model Vacuums. 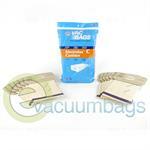 Generic DVC Vacuum Bags for Electrolux 1363 and 1451 Old Style (Pre-1986) Upright Model Vacuum Cleaners. 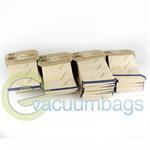 Generic Paper Vacuum Dust Bags for Electrolux Old Style Upright Model Vacuum Cleaners. 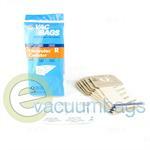 Generic Paper Vacuum Bags for Electrolux Renaissance Filtration System Model Vacuums. 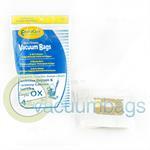 Generic Paper Vacuum Bags for Electrolux Renaissance Filtration System Vacuum Cleaners. 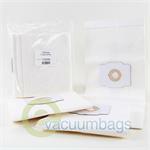 DVC Paper Vacuum Bags for Electrolux Canister Vacuum Cleaners Accepting Style C Bags. 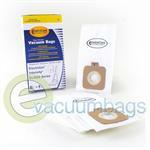 Generic EnviroCare Paper Vacuum Bags for Electrolux Canister Vacuums Accepting Style C Bags. 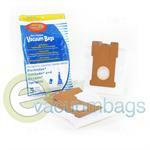 Generic EnviroCare Paper Vacuum Bags for Electrolux Canister Vacuum Cleaners Accepting Style C Bags. 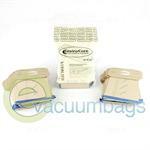 Generic EnviroCare Paper Vacuum Bags for Electrolux Canister Model Vacuum Cleaners using Style C Bags. 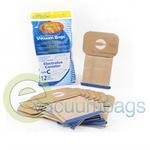 Generic DVC 4-ply Paper Vacuum Bags for Electrolux Vacuum Cleaners Accepting Style C Bags. 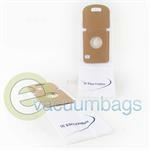 Generic DVC Vacuum Bags for Electrolux Vacuum Cleaners Accepting Style C Bags. 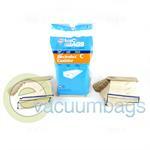 Generic DVC Paper Vacuum Bags for Electrolux Canister Vacuum Cleaners Accepting Style C Bags. 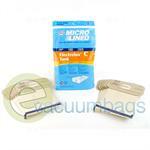 Generic Micro Filtration Paper Vacuum Bags for Electrolux Canister Vacuums Accepting Style C Bags. 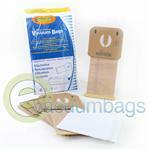 Generic Micro-Lined DVC Paper Vacuum Bags for Electrolux Vacuum Cleaners Accepting Style C Bags. Generic Paper Vacuum Bags for Electrolux Renaissance Canister Model Vacuum Cleaners Accepting Style R Bags. Anti-Allergy Style S Paper Vacuum Bags for Electrolux EL6985, EL6986, EL6988, EL6989, EL4100, EL7000, EL7020, EL7025 and EL7060 Series Vacuum Cleaners. 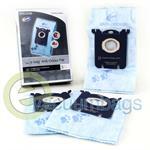 Anti-Odour Pet Synthetic Vacuum Bags for Electrolux EL6980, EL7000 and EL7020 Series Vacuum Cleaners Using Style S Bags. 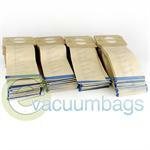 Paper Vacuum Bags for Electrolux Canister Vacuum Cleaners Using Style S Classic Bags. Generic EnviroCare Paper Vacuum Bags Electrolux EL6980, EL7000, and EL7020 Series Canister Vacuums Accepting Style S Bags. 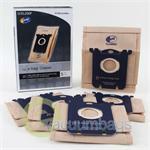 Generic 4-Ply Paper Vacuum Bags for Electrolux Upright Vacuum Cleaners Accepting Style U Bags.